2. 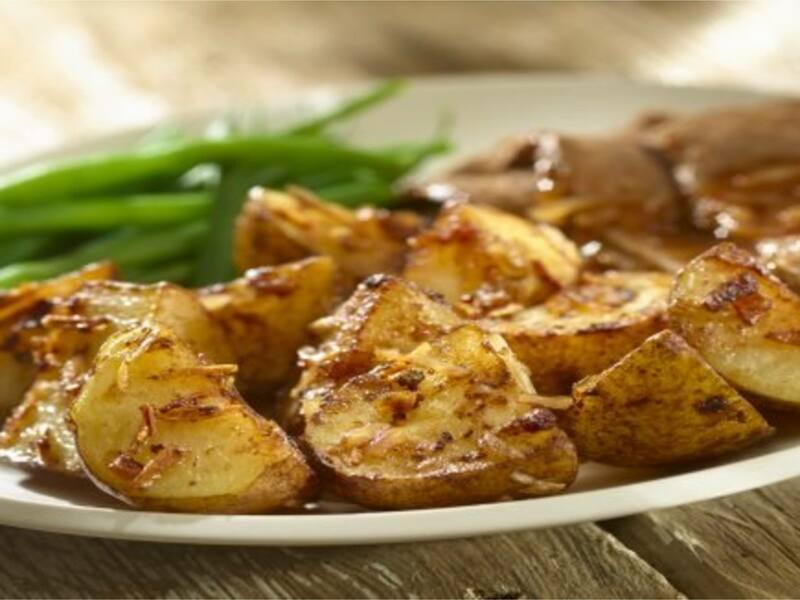 Thoroughly blend all ingredients except potatoes in shallow baking or roasting pan. Add potatoes and turn to coat thoroughly. Bake uncovered, stirring occasionally, 60 minutes or until potatoes are tender and golden brown. Garnish, if desired, with chopped parsley.